We’ll shift gears again. 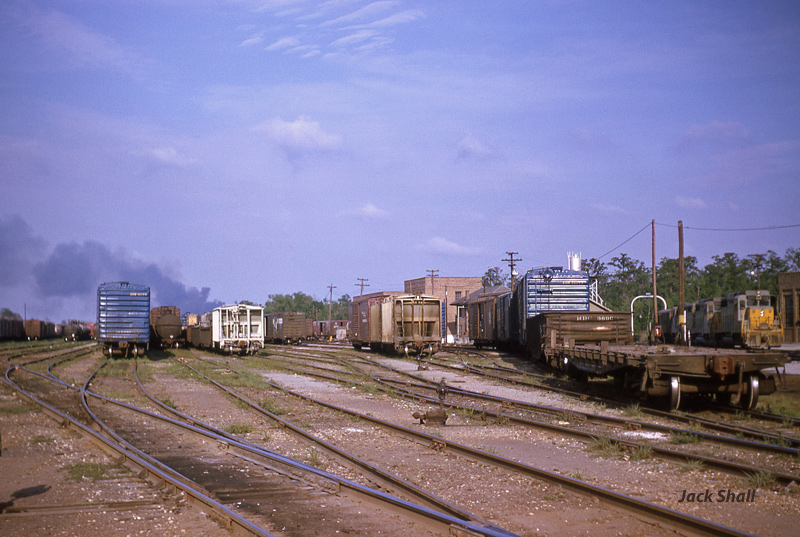 Here’s a view taken from roughly the center of the L&N Railroad’s Gentilly yard in New Orleans, Louisiana back in the early 1960s. My dad took me here several times to do a little railfanning. In those days the rail crews didn’t seem to mind that you were in the middle of their yard as long as you stayed put in a safe space. Off to the right you can catch a glimpse of the locomotive servicing area. The arch on the turntable is visible, and just a tad of the brick roundhouse can be seen at the edge of the image. The top of the sand tower is visible just above the blue boxcar. Excellent photo Jack. I model the ICG and have an appreciation for weeds in a yard….and on the mainline!